Naps play an important role in a child’s physical and emotional development. Children who don’t nap well are often more irritable and fussy (and that’s putting it politely). They are prone to difficulty concentrating, poor attention spans and tantrums. Plus, a child who doesn’t nap well means less time for parents to have a break and accomplish their own daily tasks. There is evidence that “sleep begets sleep” in some young children. That is, the better rested they are, the more easily sleep comes. However, that is easier said than done. Tackling naptime problems is a great way to instill proper sleep habits. Figuring out daytime naps can be an exhausting task in itself. Here’s how to get started. 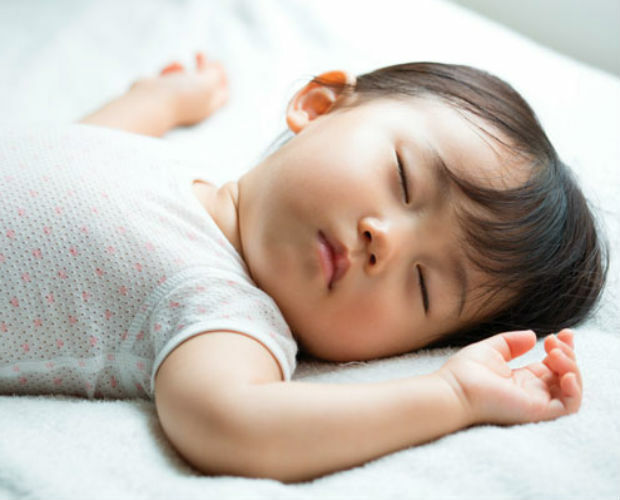 The Routine: Total sleep—including day sleep—can vary greatly in early infancy. Unfortunately for tired parents, many newborns tend to cat-nap—that is, they sleep for short periods of time. Until three months of age, follow your baby’s lead in terms of when your baby wants to sleep. This is usually after one to two hours of being awake. Many young infants are not able to self-soothe to sleep or fall asleep independently. It doesn’t hurt to offer a helping and comforting hand. Feeding, rocking or holding your little one as they nod off can really make a difference. The Common Problem: You have a two-month old who rarely naps during the day and you’re about to lose your mind. The Solution: The frequency and duration of naps vary widely child to child. Unfortunately, very short naps and long naps – and everything in between—are normal. To start, ensure that your baby’s sleep environment is conducive to sleep. Additionally, you might try experimenting with letting a young infant self-soothe to sleep, which may prevent the development of future sleep problems. This experimenting involves putting your baby down tired, but awake, and seeing if your baby can fall asleep on their own. At this young age, if crying lasts for more than several minutes, pick your baby up and try again at the next sleep period. Hopefully, your little one will get the hang of it and fall into a good routine. The Routine: At three months of age, full-term babies can start to learn to fall asleep on their own, including for naps. By this age, a more predictable sleep/wake cycle should be developing—babies should be napping three to four times a day, usually after about two hours of being awake. By four to five months, babies should be napping three times a day and can be awake for two hours before their first nap and two and a half hours before their second and third nap. Having a short naptime routine in place by this age can help cue to your baby that sleepy time is coming. A routine can be five to 10 minutes long and may include a feed (if needed), a diaper change, and song or book in low-level lighting. Infants continue to need three naps a day until six to nine months of age. Many six-month-olds are ready to sleep after two to two and a half hours of being awake if they are having three naps a day, and after two and a half to three hours if they are napping twice a day. Usually by seven or eight months of age, the late afternoon nap is dropped and bedtime is moved earlier (to 6:45 p.m. to 7:00 p.m.). The Common Problem: Your six-months-old’s daytime sleep is erratic. He has four or five cat-naps and only sleeps for 30–40 minutes at each nap. This leaves no “me time” during the day. The Solution: At six months of age, naps should be limited to three times a day. More opportunity to nap can lead to difficulty falling asleep and short naps. The importance of keeping a baby awake long enough between sleep periods is to increase his drive to sleep so that he is ready (that is, tired enough) for a nap. To eliminate cat-napping, ensure daytime wake windows (amount of time awake before a nap) are age appropriate. Also, learning to fall asleep on his own is important so that when he has an early waking during his nap he can put himself back to sleep. If he continues to cap-nap after he starts to fall asleep on his own, and he is not getting sufficient day sleep, you can try giving him a chance (for 15–20 minutes) to see if he can put himself back to sleep. Toddlers continue to nap twice a day until 12–18 months of age, with the second nap usually being dropped between 13–16 months. If your kiddo resists a second nap after being awake for three to four hours, it is probably time to drop nap number two. With a one-nap-a-day schedule, naptime should occur after lunch around the midday mark, and bedtime can be moved earlier. Over time, the nap is moved later (to 1:30 p.m. by two years of age) and bedtime is adjusted later as needed. It is also important that toddlers are falling asleep independently for all of their sleep periods. The Common Problem: Your 14-month-old is still taking two naps a day, but wakes up at the crack of dawn. The Solution: Given her age and that she is having early wakings, drop that morning nap! Schedule her single nap after an early lunch. Use room darkening shades to ensure that early morning light is not leading to her waking early. Nap resistance (and bedtime resistance) are the two most common reasons to drop the final nap (this usually happens between ages three and four). When the nap is eliminated, bedtime should be moved earlier—7:00 p.m. should do it. Many preschoolers need to be awake for seven to eight hours before their nap and therefore may not be ready to nap until as late as 2:00 p.m. This means bedtime could be too late (for kid and parent!). Limit the nap to an hour or move bedtime an hour later. If a child continues to resist his nap at a later time, or napping interferes with falling asleep at a reasonable time, it may be time to eliminate the nap altogether. Losing the nap can be a real adjustment for Mom and Dad, too. Try replacing the nap with quiet time to give everyone a much-needed break. The Common Problem: Your four-year-old is starting full-day kindergarten soon, but still seems to need a nap during the day. There is no naptime in kindergarten. The Solution: In preparing your child for a full day of school without a nap, eliminate the nap and start putting your child to bed earlier (7:00 p.m.) to avoid him from becoming overtired and to help ensure sufficient sleep at night. You should begin this a week ahead of school. Aim for 11–12 hours of sleep at night. The routine may take some time, but sticking to it should result in a well-rested child. Go Dark: Aim for at least a 9/10 in terms of darkness. Be Quiet: Use low-level white noise (a constant and even sound) if needed. Ensure white noise is away from a child’s crib or bed and is not too loud. Stay Cool: Don’t overdress your child for sleep. Bedroom temperature should be on the “cool side of comfortable”. Make sleep a family priority: It is not just children who need sleep; adults generally need seven to nine hours of sleep a night to feel their best. Establish healthy sleep habits: This includes having a calming bedtime routine that is done in low-level lighting and a regular bedtime that is not too late. Create a ‘no screens before bed’ policy: Research shows that screen use in the 30–60 minute period before bed often delays bedtime and results in insufficient sleep and daytime drowsiness. Lights from screens interfere with the secretion of the sleep hormone melatonin. In response to light, the brain gets a message not to produce proper amounts of melatonin. Dr. Nicky Cohen is a Registered Psychologist in private practice in Toronto. She promotes healthy sleep practices in the community. Visit drnickycohen.com for more info. 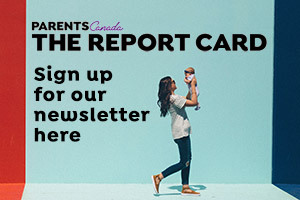 Originally published in ParentsCanada magazine, Spring 2017.